Considering the surprising amount of recent celebrity divorces, the news and public conversations, in general, would have you believe that celebrity relationships never last and that most relationships in Hollywood are doomed to fail. While that is mostly true, it is not a unique trait of members of the film industry. Instead, it is a common thing across humanity. Just pick up any court’s yearly case statistics and see the number of divorce cases they deal with in a year. From Hollywood actors and actresses to school teachers and janitors, relationships are hard. It is the amalgamation of two people with different backgrounds, personalities and interests trying to build a life. It is not always easy and a lot of people give up under the stress and pressure. The only difference between the daily divorce among regular people and Hollywood divorces is the publicity the latter receives. Hollywood relationships have their own personalities. They have their own fans just like the personalities in the relationships themselves. So when they inevitably break up, it is not just the end of love but the death of a personality. The implications of these breakups cause so much sadness among fans and it is extra worse when we do not see the breakup coming. When we are not given a moment to collect ourselves and prepare for the heartbreak. Below, we collect a list of celebrity divorces that did not give us a warning signal. We went to bed one night, everything right in our fantasy world and we wake up to hear that our ships are gone. It is impossible (well, not impossible just inaccurate) to write about the most recent celebrity divorces we didn’t see coming without starting off with the biggest of them all – The End of Brangelina. It was a quiet day in September 2016. The only hurricane in sight was the US Election in November. Everyone jollied at sea, completely oblivious to the storm that was about to hit – The breakup of Angelina Jolie and Brad Pitt. The couple had been together for 11 years. Young adults grew up on their relationship, and children were growing up learning to see the beauty that existed in the world that the marriage of the superstars portrayed. Apart from being movie superstars, the couple was the quintessential progressive couple. They refused to marry until everyone (i.e LGBT couples) were allowed to marry and they adopted children from all over the world, ending up with six children – 3 adopted, 3 biological. The two met while filming Mr & Mrs Smith and though their relationship was off to a tumultuous start, their breakup was still a huge blow to everyone who loved the couple. Being one of the biggest relationships in Hollywood at the time, their split is still talked about long after the divorce announcement. The Alias actress and Batman actor were in a marriage that lasted 10 years and produced three children. The marriage even made Ben Affleck likeable again after the actor faced a couple of problematic years in the industry. Ben and Jennifer had been dating since 2004 and married just a year after. There were rumours the marriage ended over infidelity on Ben Affleck’s part but whatever may have been responsible, the news was a difficult one to process. 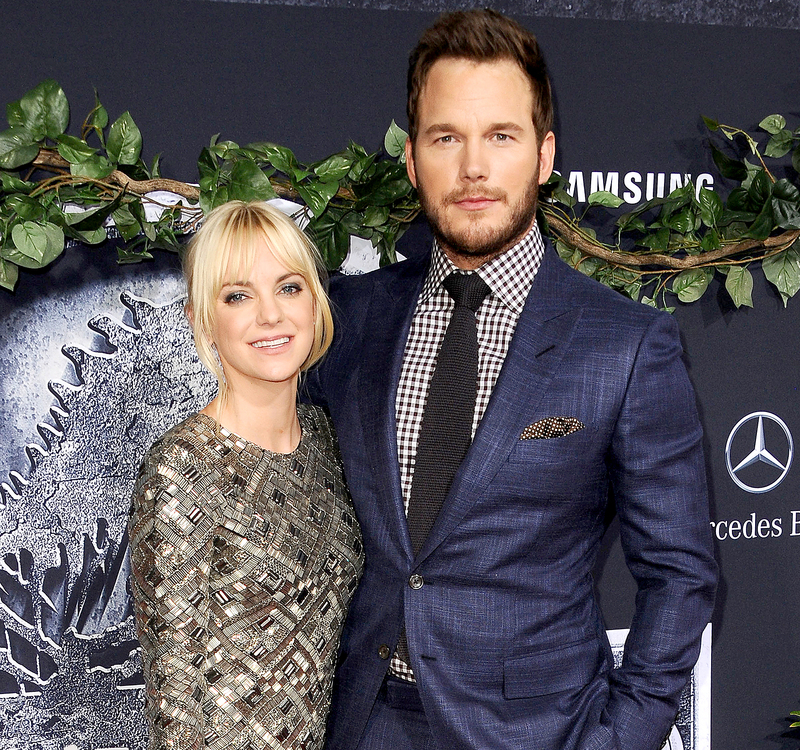 Is it possible not to love Chris Pratt and Anna Faris? The answer to that is no. Chris Pratt – The Guardians of the Galaxy and Parks and Recreation superstar is one of the most widely adored men of Hollywood. His charm is simultaneously endearing and fondly overwhelming. So, when news broke that he was in a relationship with Anna Faris, the Scary Movies 90s star, the childhood crush of many men, it was delightful news amidst a tinge of jealousy. The couple got married in 2009 and gave birth to a son on August 25, 2012. On August 2017, the couple announced their divorce. The divorce seemingly came out of nowhere and left many fans devastated. Thankfully, the two have moved on amicably and remained good friends ever since. Step Up did not only make professional dancing a cool profession for young people, but it also brought Channing Tatum and Jenna Dewan together. The couple then spent the next three years nurturing their relationship until it became a marriage in 2009. In 2013, the couple welcomed their only child and for a long while, everything seemed right in their kingdom. But unexpectedly, the couple released a shocking statement on Facebook (as if we needed more reasons to hate Facebook) announcing their divorce. They were married for nine years. Needless to say, it is completely understandable why they made this list of recent celebrity divorces. Sure, maybe Johnny Depp is not exactly the most stable of human beings, but the quirky actor has been the favourite of millions since he brought Captain Jack Sparrow to life in the Pirates of the Caribbean franchise. So, when we learn he’s in a relationship, we root for him. Johnny Depp met Amber Heard on the set of The Rum Diary in 2011 and shortly after the actor broke up with his girlfriend at the time, the couple started dating. It was a fiery love that quickly led to a marriage within a year. However, their marriage ended as quickly as it started. After a year, the actress filed for a divorce from The Pirates Of The Caribbean star, stating physical and verbal abuse. The divorce was finalized in 2017. Ben Stiller is more known for his comedy films than he is for his personal life. But those who are aware of details in his personal life knew he was in a long marriage with Christine Taylor. Their marriage endured with zero controversies and was one of the most respected unions in Hollywood. However, all of that came crashing down in 2017 when the couple joined the statistics of recent celebrity divorces by announcing they were getting a divorce after 17 years of marriage and two children. Unlike the majority of the couples on this list, their breakup was a surprise not because they had been together for so long but because of how swift and fast it was. We had barely gotten used to seeing Kaley Sweeting in the credits of The Big Bang Theory before we learned of the couple’s divorce. Kaley, who filed for the divorce, cited her husband’s drug addiction and a refusal to seek help as her reasons for breaking up with the tennis star. The couple was married for only 21 months. It is sad when a relationship ends, especially one with all the love shared between John and Nikki. However, the memes and banter on Twitter helped fans of the couple work their way through it. The two wrestlers were in a relationship for six years and were scheduled to be married on the 5th of May 2018. They even had their own reality TV show. Unfortunately, it just wasn’t meant to be and the pair called it quits. It’s no wonder they made our list of unexpected recent celebrity divorces. One can easily say Jennifer Aniston hasn’t been lucky in the marriage department. After a famous breakup with Brad Pitt following his infidelity with Angelina Jolie, Jennifer waited until 2015 to tie the knot again. In 2011, she began dating Justin Theroux after the duo met on the set of Wanderlust. The relationship blossomed into an engagement in 2012. However, the couple did not get married until 2015, three years after their engagement announcement. The marriage then came to a final halt in 2018, two and a half years later. Gwyneth is considered one of Hollywood’s strange (to put it mildly) actresses. Her Goop Enterprise has been subject to various controversies over the years. However, even as the strange and elitist she is, Gwyneth has been lucky enough to find long-lasting love. She was married to Coldplay lead singer, Chris Martin. The duo got married in 2003 and have two children, Apple Martin, and Moses Martin. Despite Gwyneth’s tendency to court controversy via Goop, her relationship always seemed fine. So it was a bit of a surprise when they announced their divorce in July 2016. 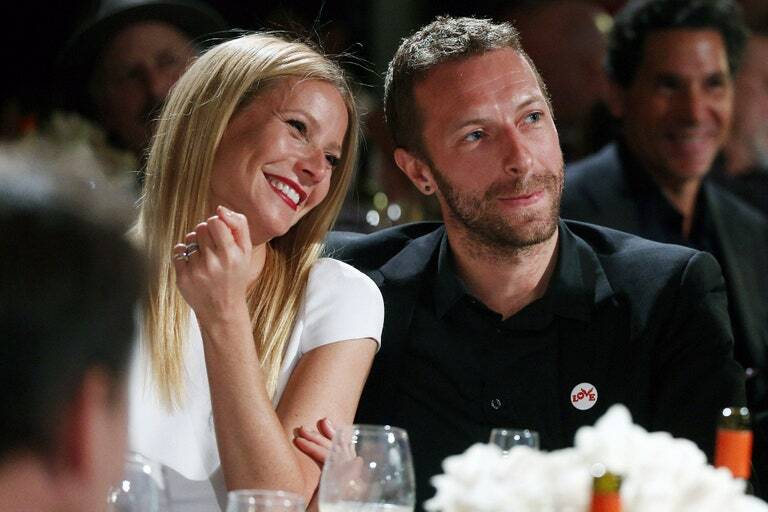 In typical Gwyneth fashion, she referred to the divorce as a “conscious uncoupling”. The couple was believed to have broken up due to conflicting work schedules. This rounds up our list of surprising recent celebrity divorces. Unable to make our list but certainly not ignored are Usher and Grace Miguel in 2018, Bill Hader and Maggie Carey in 2017. For couples who weren’t married but whose breakup came as a surprise, we have Selena Gomez and The Weeknd, Jennifer Hudson and David Otunga, Sam Smith and Brandon Flynn, Mac Miller and Ariana Grande, Logic and Jessica Andrea. Sadly, we understand that all good things must come to an end. With the wave of prominent celebrity breakups going around Hollywood these days, we must protect Will and Jada Pinkett-Smith, John Legend and Chrissy Teigen at all cost.